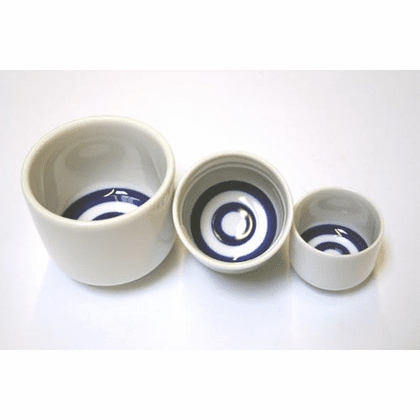 Official sake tasting cups, known as "kikichoko." Holds a full 1.75 ounces, 1-15/16" in diameter, 1-5/8" tall. Picture shows what the cup looks like on the outside and inside.